Confession: I haven’t practiced yoga regularly for at least five years. I’ve done some prentatal and postpartum yoga here and there, but my yoga has been sporadic at best. Interestingly, my oldest child just turned five this month. Coincidence? I think not. It’s not that I don’t like yoga or believe in its benefits, it’s just that when I carve out time to work out, I’m doing…other things. Yoga seems too still for my current lifestyle. And if I’m going to the gym, it’s likely to hit Zumba. Doing yoga at home isn’t exactly peaceful much of the time. But maybe that’s the problem. Maybe stillness and quiet will bring more peace. 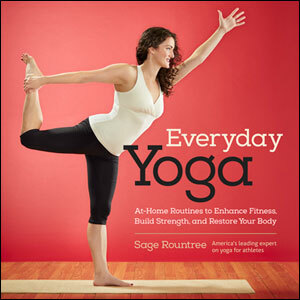 Because there are numerous others like me out there who want to do more yoga, Sage Rountree, a leading expert on yoga for athletes, shares her fresh, accessible approach to practicing yoga every day in her new book Everyday Yoga. It’s a colorful, lay-flat guide to yoga poses and routines, and she guides experienced yoga practitioners and yoga beginners on the best ways to design and develop their own at-home yoga routines. With poses that develop flexibility, balance, whole-body strength, recovery, range of motion, and focus, Everyday Yoga will help you customize an at-home yoga practice to meet your goals. Seeking some wisdom on how to get a little more calming yoga into my frenetic life, Sage answered a few of my questions about making yoga a little less sporadic and more of a regular habit. 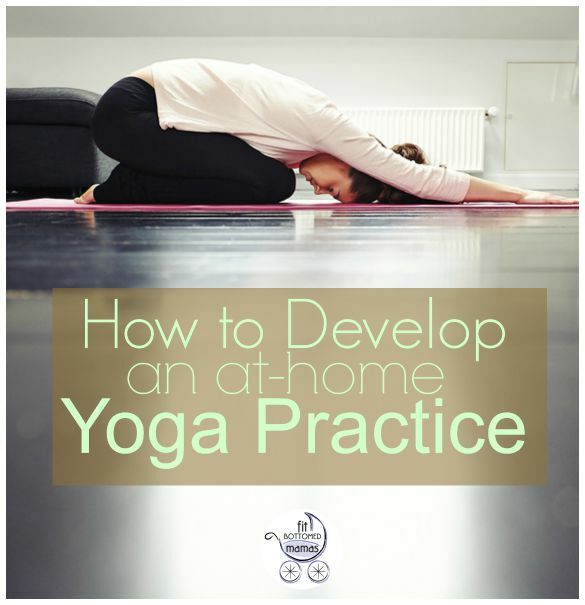 What tips do you have for developing your own at-home yoga routine? Commit to a little bit a few times a week. That’s far more sustainable than trying to do a ton and getting discouraged! Everyday Yoga contains lots of short, manageable sequences that you can do in as little as five minutes. Once you’ve seen how good a regular practice feels, you’ll have more incentive to keep it up! What do you tell someone who’s a beginner but wants to try yoga? You have to start somewhere! Ideally, you can find an intro class or series with an experienced teacher. That’s the best way to learn how to practice safely. But if that isn’t viable, go slowly, and trust your body. Simple standing poses, supported backbends—these pay huge dividends in balancing your body and mind. Any tips on getting some quiet time for a busy mom? Nap time is a good chance to get in a 5-10 minute practice, maybe followed by a nap of your own. Or involve the kids—you can lay out a book (like Everyday Yoga, of course), follow along for a pose or two, then start to improvise. Take turns leading each other! Any recommendations for how to create a yoga space at home? Just like you don’t need to have a huge block of time to practice, you also don’t need much space. Laying a mat in a corner—facing away from the dirty dishes and laundry that needs folding!—can be all you need to have a space for yoga. If you can add a sonic barrier like a closed door or some soft music, all the better. But I’d say to spend more time practicing and less time trying to create the “ideal” situation. One of the best lessons of yoga practice is to find peace among the chaos! I’ve been interested in yoga for a while but I’ve never practiced it. I think you’ve given me what I need to get started. Thanks for the article!